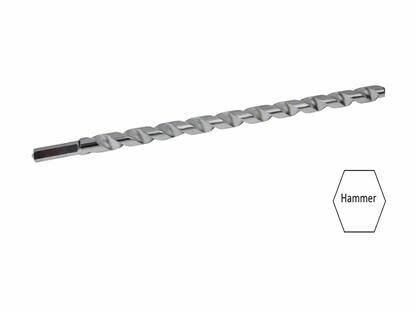 Minimum Fixture Hole Diameter (In Place) 5/8"
Minimum Fixture Hole Diameter (Hole Spotted) 1/2"
Maximum Torque 50 - 60 ft./lbs. 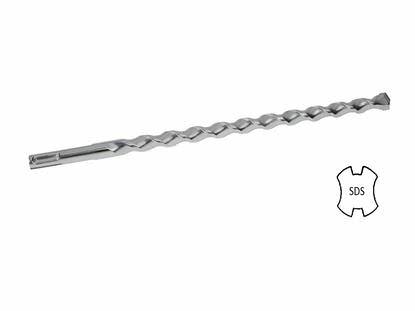 Wrench Size For Nut 3/4"
Drill a 1/2" hole into the concrete using a carbide-tipped bit that meets ANSI Standards B212.15. 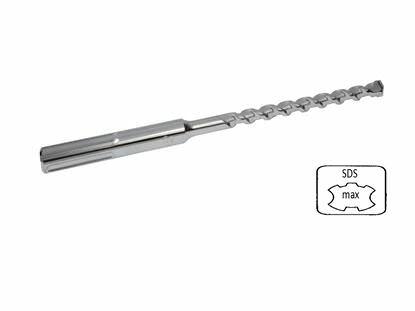 Drill the hole a 1/2" deeper than the anchor will penetrate the concrete, making sure the minimum embedment requirements of 2-1/4" is met. The hole can be drilled while the fixture is in place. 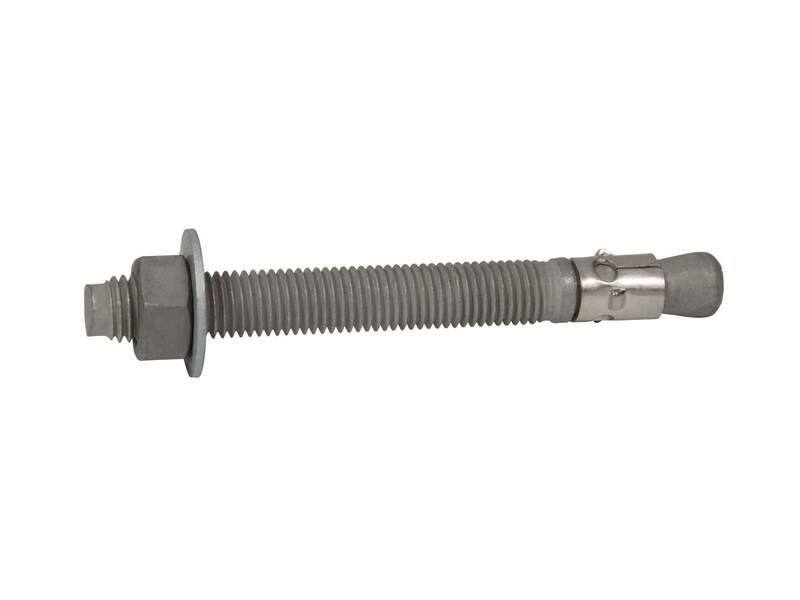 The minimum hole in the fixture for the 1/2" x 5-1/2" Hot-Dipped Galvanized Wedge Anchor is 5/8". 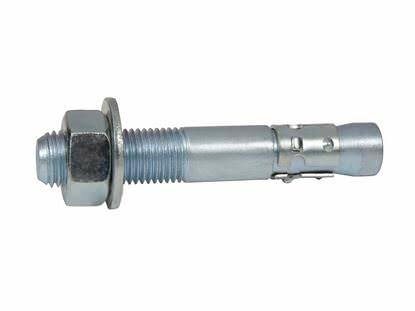 Put the nut and washer on the 1/2" x 5-1/2" Hot-Dipped Galvanized Wedge Anchor, making sure the nut is on the last threads; this will protect the threads from damage when the wedge anchor is hammered into the hole and into the concrete. Insert the anchor through the hole in the fixture and into the hole in the base material. This should be a very tight fit. Then use a hammer to complete the installation until the nut and washer are tight against the fixture. 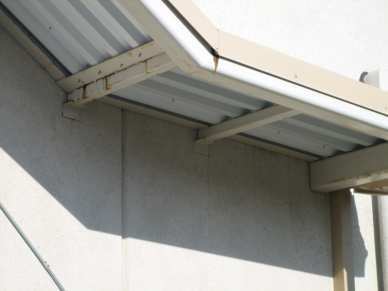 It is important that the threads go below the surface of either the base material or the fixture. Turn the nut clockwise on the anchor until finger tight. 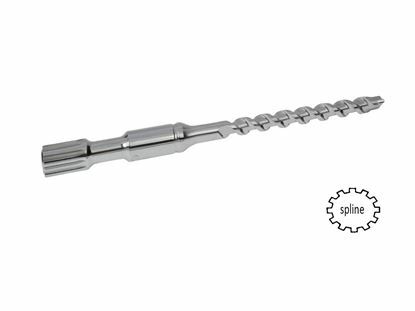 Using a 3/4" wrench, turn the nut 3 to 4 times until snug or until the proper torque value of 50 - 60 ft./lbs. is reached. 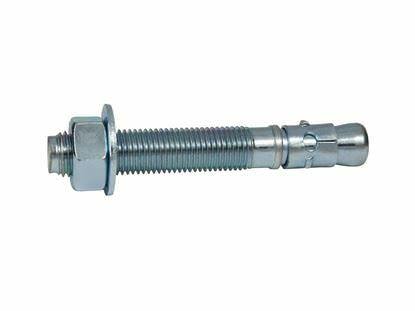 Visit our extensive collection of concrete anchors & fasteners to find the right fastening system for your needs. Need more info? 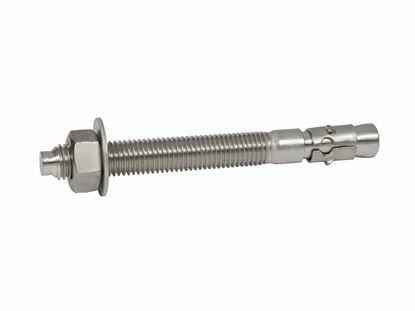 Take a look at our huge collection of videos and articles on concrete fasteners and install tips. Need to ask us a question? We’re here for you, and we mean it! Contact Us, we'll respond within the hour. Want to conveniently order by phone? Download our catalog to find the products you are looking for.